Today more than ever consumers want to search and buy online. Results from recent surveys have shown that more and more search engines like Google dominate when consumers look for products. It is true also in sport. 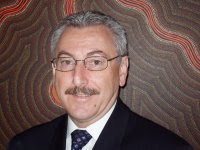 In Australia and worldwide millions of people are involved in sport. Starting at an early age children join sports clubs and associations and remain loyal members, often for life. Nearly every Australian is in one way or another involved with or participates in a sport during their lifetime. Every sports association, federation, club or group has some need to sell to its members and supporters. This is often done to raise money to support the development and management of the club itself. Many times this is left to third parties or members to organise and as a result the opportunities are lost. But it can also result in the members themselves paying too much for the merchandise. Although sport has embraced the internet and World Wide Web in many ways selling merchandise to club members has generally been only at the large commercial end of the market. Fundamentally the reason for this has been costs, resources and available skills. New eCommerce technologies like ePages have changed that and now it is possible for any club or association to start and run an online store for less than $100 per month with minimal and maybe no upfront cost. What can you expect as an estimate for your eCommerce technology? 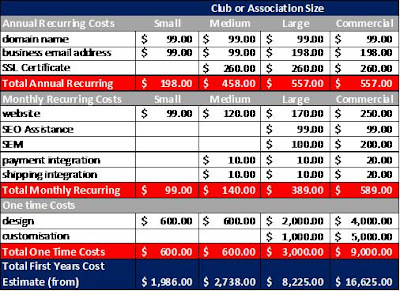 These traditional business costs will vary from club to club. If you represent a club or association and are interested in learning more about the issues that surround starting an online store to sell merchanise, tickets, memberships or any product you can contact ecorner and ask for a free whitepaper about eCommerce and Sport.